Portions of the Patriot Act expired on May 31. What does that mean? NSA Bulk Data Collection Expired Last Night. What’s Different Today? The NSA in Fort Meade, Maryland in 2006. After 14 years of providing a post–Sept. 11 framework for U.S. terrorism response, important sections of the Patriot Act were allowed to expire Sunday night amid congressional infighting. And for the average American, that means the disruption of bulk data collection by the National Security Administration. The NSA justified extensive electronic surveillance, including broad access to phone call metadata through Section 215, under the act. But as of last week, the Los Angeles Times was reporting that the agency was taking steps to dismantle its bulk-collection operations in preparation for the possibility of Patriot Act expiration with no stop-gaps on June 1. “That process has begun,” a White House official said. It’s a good thing they were prepared! 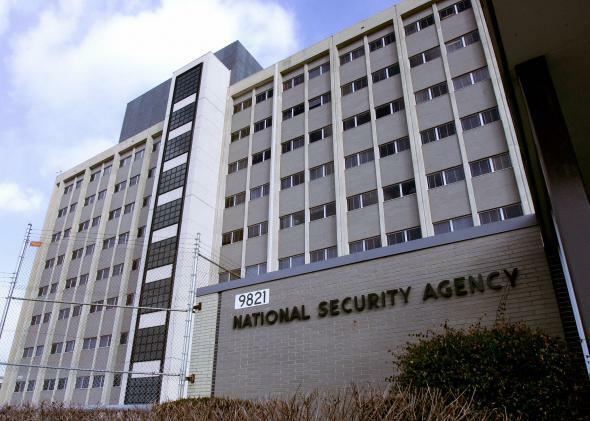 The NSA still obtains records of calls—potentially all calls—you make with people overseas. It still tracks Americans’ Internet communications using metadata obtained overseas. The FBI can still access the content of any communications Americans have with foreigners targeted under PRISM without a warrant or even any evidence of wrongdoing. The FBI can still, and indeed does, obtain phone records of individuals in conjunction with national security investigations without any court review. In addition to the halt in bulk NSA communication surveillance, the act’s expiration means that the FBI can no longer use it to get sweeping wiretap orders to track suspects when they change phones. Each new device now requires a fresh warrant. Additionally, the agency can no longer use the act to justify wiretaps of “lone wolf” terrorism suspects—individuals who don’t have known affiliations to a larger group. As the New York Times points out, though, it seems that the NSA is keeping its existing trove of data, since the Justice Department will have grandfathered ability to continue to access files for ongoing investigations. The Times also indicates that law enforcement agencies have other workarounds to continue to get the approvals they want. The Senate will probably restore the expired portions of the act this week. And Congress has been mulling alternatives like the USA Freedom Act, which would notably mandate that phone companies, not the government itself, store bulk collections. That way, agencies would have to go through the Foreign Intelligence Surveillance Act court in order to pull individual records, instead of having full, broadly approved access. Last week President Obama warned that letting the Patriot Act expire without an alternative plan was not a productive option. “You have a whole range of authorities that are also embodied in the Patriot Act that are noncontroversial, that everybody agrees are necessary to keep us safe and secure,” he said. “I would urge folks to just work through whatever issues can still exist.” Welp, here we are.